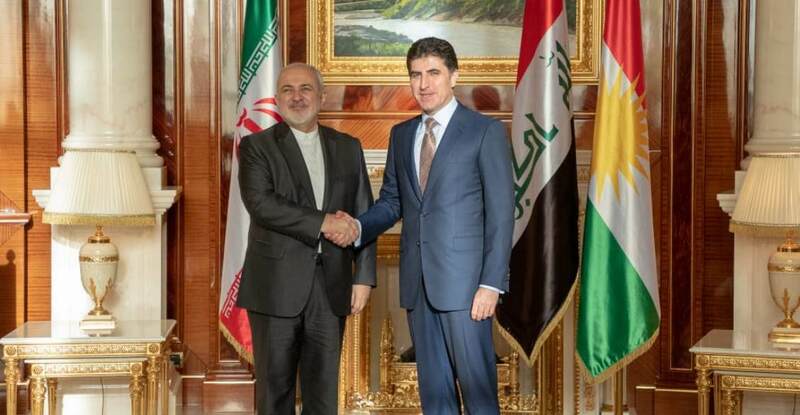 Prime Minister Nechirvan Barzani received the Foreign Minister of the Islamic Republic of Iran, Mohammad Javad Zarif and his accompanying delegation. The conversation axed on the threat of terrorism. Both parties stressed that terrorism still exists in the region, thus co-operation among all the countries engaged in the fight against terrorism is needed for its complete eradication. Prime Minister Barzani thanked the Islamic Republic of Iran for its assistance to the Kurdistan Region in the fight against ISIS. Conversely, Minister Zarif expressed his support for the improvement of the relations between Erbil and Baghdad, hoping that all outstanding issues will be solved through peaceful dialogue. The meeting continued with discussions about the development of bilateral cooperation in the areas of culture, trade, agriculture, and science.